This is a charming short book containing "Some instructions on writing and life." It's very personal. 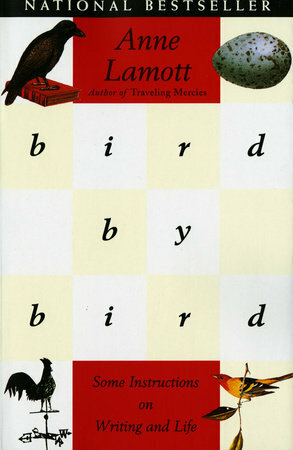 Anne Lamott is cartoonishly neurotic and suggests everyone else is too, which I've decided is nice. She recommends index cards. I concur. She mentions somehow that the population of the world is four billion. I had to check the copyright date. It was 1994. Now in 2019 there are 7.7 billion people. Time flies! Her writing glistens especially over short time scales. She is a master of evocative two-item lists. This is a phenomenon I've thought about in the context of breakdancing competitions, and it is interesting to think about it also in writing, and elsewhere. Also she is very character-first. Plot comes from character, she says.